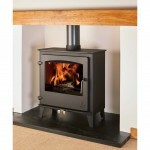 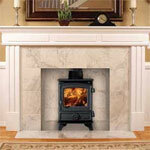 Hearth & Home (Cumbria) Ltd prides itself on the supply of only the best quality stoves available, as you are here on our website we must assume that you are looking for a stove and therefore some basic information would be useful to assist in your choice of stove. 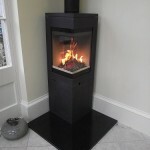 Where possible we would recommend and prefer it if you come into the showroom where we can discuss what suits your style, requirements and budget. 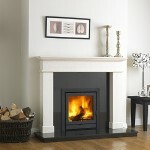 If you are coming into the showroom then 2 pieces of information are invaluable to us 1) the size of the room you are trying to heat, 2) a picture of your existing fireplace or where you would like to the stove positioned. 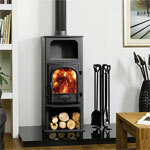 From this basic information we usually can give you, straight away, an idea of the costs involved in supply and installing a stove to your property, with some brochures and prices under your arm you can then choose something to suit. 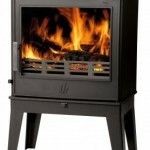 It is worth having a browse through the brochures and installation gallery before coming to the showroom and get a feel for what styles of stove and/or fireplace you feel you would like. 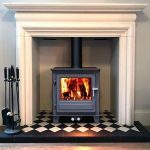 A stove can be fitted almost anywhere and there are an amazing amount of styles, colours, shapes and sizes which we can supply. 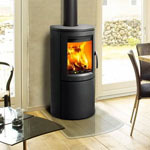 You do not need to have a chimney already, with a twinwall flue system we can place a stove almost anywhere, ground floor, first floor, lounges, kitchens, dining rooms, sun rooms, garages, sheds, even conservatories (although this one is difficult). 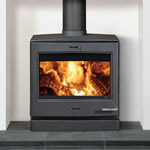 A stove can be an incredibly cost effective way to heat your house and if your main heat source is oil or lpg heating we have seen significant savings on your annual fuel bill meaning a stove can pay for itself in as little as 3 yrs. 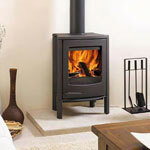 Stoves can also be used to heat your whole house using a central heating boiler stove which can also be linked into your existing boiler to provide heat to radiators thoughout the house, this is a complex system so needs careful consideration. 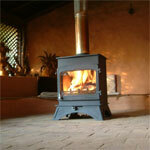 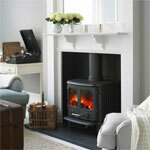 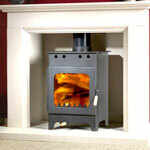 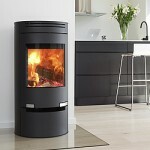 We do, where possible, advise you to fit a flexible flue liner if you are installing a stove into an existing chimney. 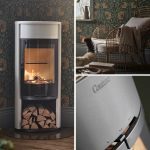 Generally an existing chimney will be at least 9” diameter (225mm) and will have been designed for a traditional open fire which is really too big for a stove resulting in the flue gases cooling which can cause a lack of draw and a sluggish stove. 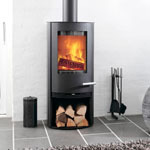 A flexible stainless steel flue liner fitted to the chimney will reduce the chimney size to the correct dimension for the stove and help to keep the heat into the chimney to assist in making the stove draw properly and work how it has been designed to do.